40 - 90 minutos aprox. Is that victory you taste in the salty air? 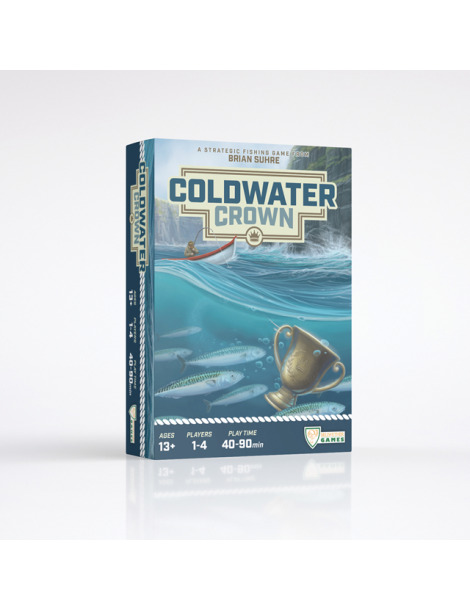 Youve secured your spot as a competitor in the world-renowned Coldwater Crown fishing tournament, and the contest has just begun! Will you be able to cast the right bait at the right time to reel-in the biggest fish? 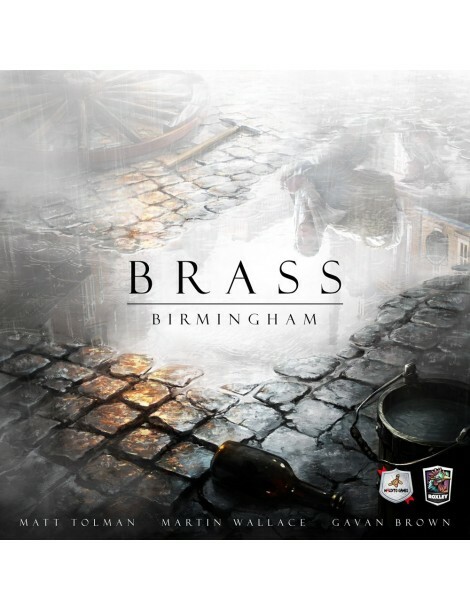 Will you be able to strategically balance your efforts at the different fishing locations to win the most trophies? Very little is certain on these frigid waters, but its guaranteed the fish will be biting! 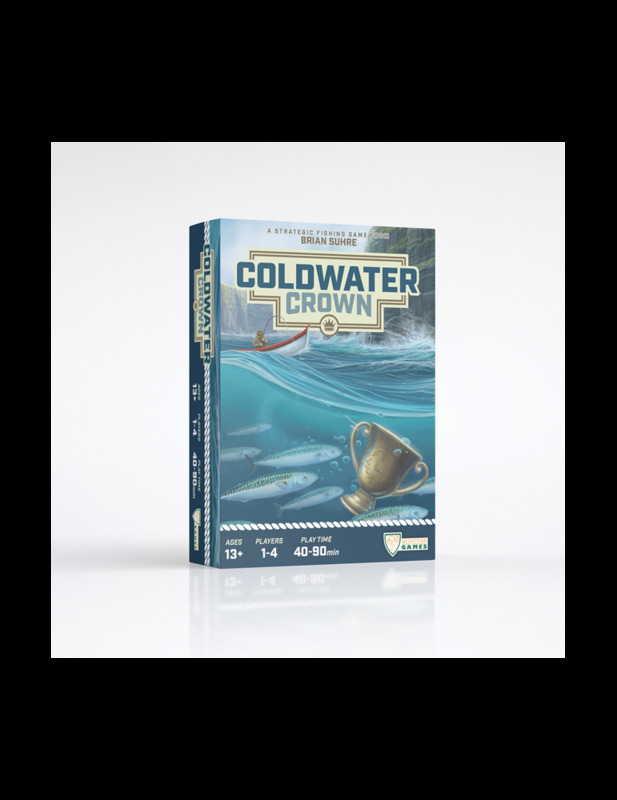 Coldwater Crown is a fun and clever board game that captures the thrill of fishing in a tabletop experience. 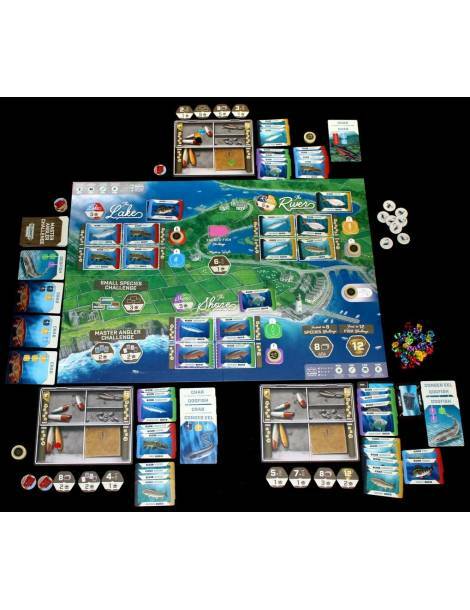 Created by acclaimed game designer Brian Suhre, its a game of strategic planning, anglers intuition, and just the right amount of luck! Test your fishing expertise against up to three of your friends or hone your skills at the practice pond. You dont have to be a master angler to win, but once your trophy count begins to stack up, you might just feel like one!